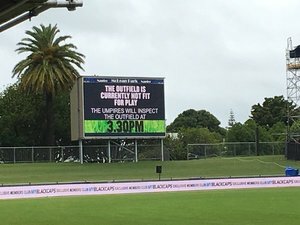 Match delayed due to heavy rain......???? RT ICCLiveHQ: RT SirAhmadShahzad: Teams gone back to hotels. Sadness is when you get up early in the Morning for match and match is delayed by rain for next 3 hours. 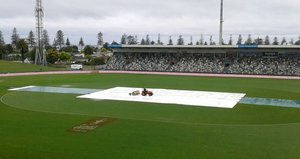 #Rain Has Delayed The Start Of The 2nd ODI At Napier. The Cut Off Time Is 11.15am PST. Teams Gone Back To The Hotel. 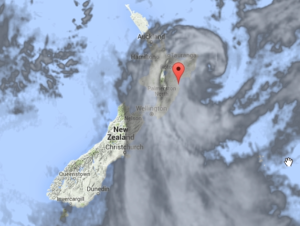 #Napier : Pakistan aor New Zeeland K Darmiyan Doosray ODI Match Se Qabal Barish, Toss Takheer Ka Shikar, Barish Ka Sinsla Jari.